As usual, the excitement, tension and watered-down trash talk have been ramping up in earnest for the past week or so. If only because of that, there is absolutely no other event in golf that carries the interest that the Ryder Cup does. There are a million intangibles that factor into each Ryder Cup, ultimately determining which team takes home Samuel Ryder’s trophy. But, this year, here are four specific things to keep your eye on as the teams tee off at Celtic Manor on Friday morning. 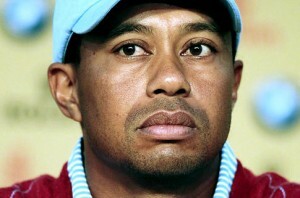 Tiger Woods’ demeanour – Let’s face it. Tiger Woods is not even close to the player he was during his run of fourteen professional major championships. Will he ever get back to that level? Not likely. But, this week, the British press have been poking the bear. Not smart. Here’s the most provocative question Woods was asked on Tuesday: “You don’t win majors anymore, you don’t win regular tournaments anymore – and you are about to be deposed by Europeans as the world No. 1 or Phil Mickelson; where is The Ryder Cup now on your agenda now that you’re an ordinary golfer?” At this point, if I’m Tiger Woods, I am furious. And a fired-up Tiger Woods means one thing – wins. Watch for Tiger to come out flying on Friday morning with Steve Stricker…and continue it right through Sunday. I would not want to face him in any of the three formats. If even one of his matches gets to 18, I’ll be shocked. European fans’ exuberance – No matter if the Ryder Cup is played in the United States or Europe, the home spectators go wild. But, in the U.K., they go a bit wilder. 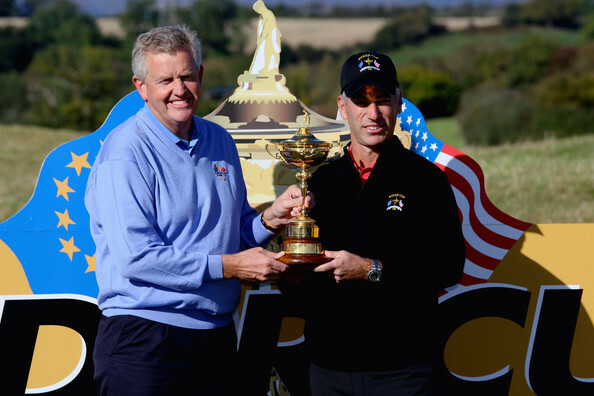 The U.S. has not won a Ryder Cup in Europe since 1993. There’s a reason for that. European fans’ cheering and vocal support are worth a great deal to the European side, especially since half their squad is comprised of rookies. And, on the other side of the ball, the American rookies will be rattled by the cheering. It’s impossible not to be. Big advantage Europe. The rookie effect – There are almost as many rookies, on both sides, as there are players with previous Ryder Cup experience. That means approximately half the winning side’s points will likely come from first-time Ryder Cuppers. Bottom line is – if your rookies perform well, your side will win. Period. For the U.S., those rookies are Jeff Overton, Dustin Johnson, Rickie Fowler, Matt Kuchar and Bubba Watson. For Europe: Ross Fisher, Peter Hanson, Martin Kaymer, Rory McIlroy, Edoardo Molinari and his younger brother Francesco. Now, look at all those names. Which group of rookies would you put your money on? Right. Advantage USA. And watch for captain Colin Montgomerie to ride the Rory-McIlroy horse until it drops, beginning Friday morning, when he’s paired with Graeme McDowell. 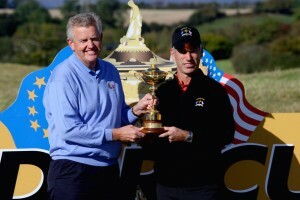 Captains Colin Montgomerie and Corey Pavin are both Ryder Cup veterans as players. How will they do captaining their squads? Captain v. captain – The debate rages about the level of importance captains have at the Ryder Cup. A captain can’t necessarily win the Ryder Cup – but he can sure lose it. In 2004, at Oakland Hills, U.S. captain Hal Sutton boldly declared that, bright and early on Friday morning, he was going to pair Phil Mickelson with Tiger Woods a four-ball match. They lost to Colin Montgomerie and Padraig Harrington. Then, Captain “I’m pretty darned full of myself” Sutton did it again! And Phil and Tiger lost their afternoon foursomes match to Darren Clarke and Lee Westwood. Team USA’s golden pair garnered no points and – just as importantly – got crucified by the media. Europe bounded to an 18½ – 9½ point win and take home the cup. The captain’s decisions are crucial. Pavin is a bit of a control hound. Monty is more of a wild card. Watching their decisions might be just as much fun as watching the actual golf.